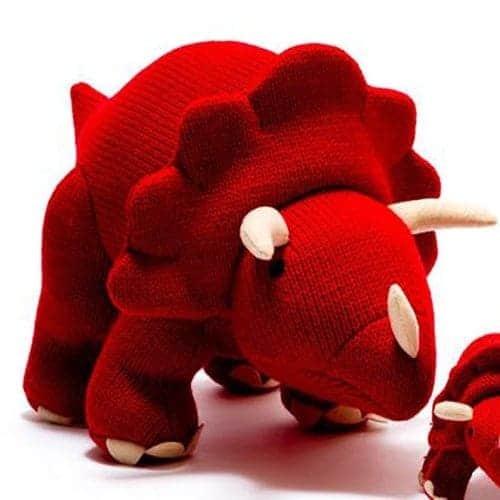 Your kids are sure to love our knitted soft toys, which come in both dinosaur and octopus designs! 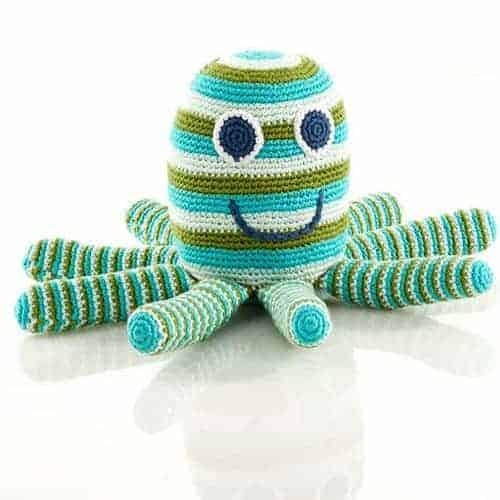 They are the perfect gift for a newborn or toddler, and make a cute bedtime and playtime companion! 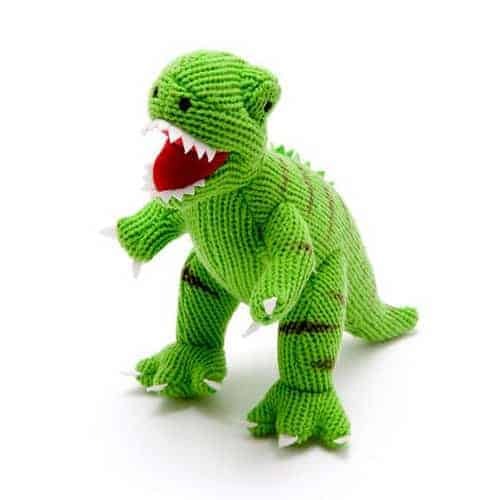 Our range includes octopuses and a range of dinosaurs, some of which can even roar! 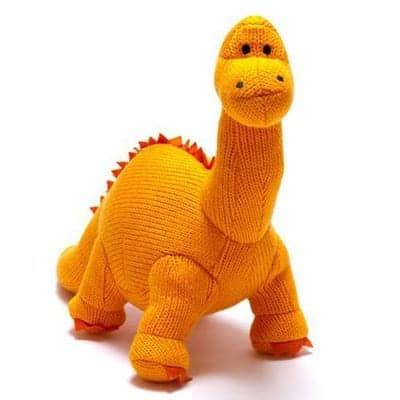 All of our soft toys are knitted and ethically sourced. They provide hours of fun for your little one. 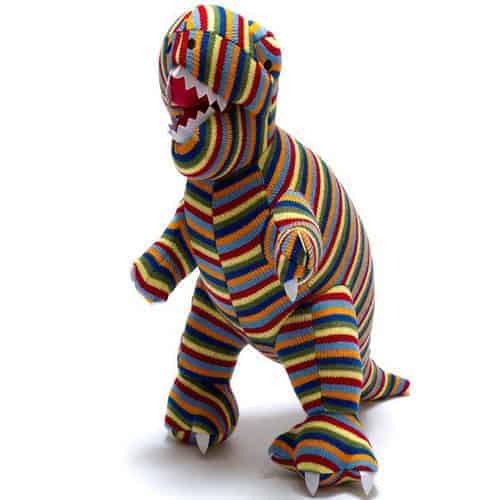 The dimensions of our soft toys vary. They are made from 100% acrylic and they are machine washable. 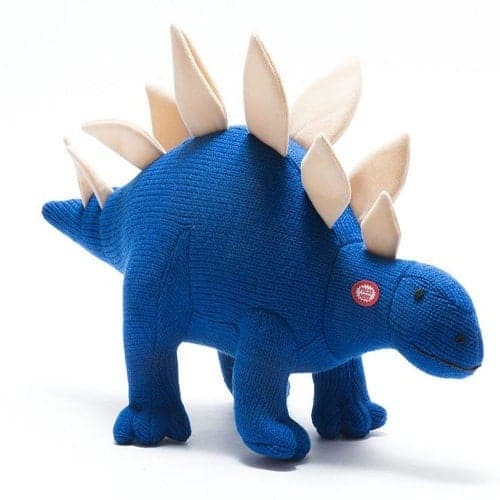 Perfect if your little one wants to take their new friend on epic, outdoor adventures!